Thomas Appleyard is one of my Barnsley prisoners of war - he is listed in the Barnsley Chronicle on 28th August 1918 in a long list of known prisoners which I found last year, I wrote about this piece in a previous blog post. Thomas combines two of my interests, he was a POW and he came from Cudworth where I attend the Local History Group. 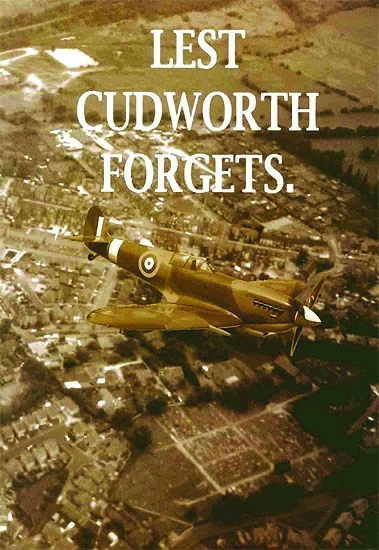 The Group wrote a book in 2005 about the men from Cudworth who had served in the First and Second World Wars called 'Lest Cudworth Forgets' and Thomas is listed in the chapter on prisoners of war there too. Thomas Appleyard was born in Barnsley in February 1894 and baptised at the parish church of St Mary's on 25th March; he was the youngest of eight children born to Thomas Appleyard, an Engine Tender or Stoker, and Emma (maiden name Oxley) who were all born and baptised in Barnsley. 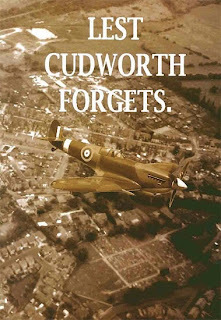 Shortly after Thomas's birth the family moved to Cudworth. Alpha Cottages appear to be some of the earliest houses on Barnsley road as the only dwellings listed prior to them on the census return are the Bleachworks and Railway Cottages. I think they are now subsumed into a longer terrace on the righthand side as you go up Barnsley Road - I can see a plaque on the front of the terrace on Google Maps which might confirm this but it is obscured by a drainpipe! The family had moved to 19 Albert Street, in Upper Cudworth by the 1911 census; the house was larger (6 rooms instead of 4) and the eldest three children Caroline, George and James had left home, so there must have been a lot more room despite there still being eight people in the house. Thomas, aged 17, was now an assistant butcher and another brother Henry was an assistant grocer. His other brothers all appeared to have taken jobs in the pit. When war is declared in 1914 Thomas would have been 20 years old - and of course he had those six elder brothers in 1901 plus his brother in law, Caroline's husband, Irving Keen, who also worked at the pit. Did they all sign up? George Appleyard had married Amanda Sellars in 1909 and they had children in 1912, 1915 and 1917 bracketing the period of the war - so this suggests he wasn't away from home. Another brother Richard marries after the census in 1911 to Mary Ellen Pickard and they have a child in 1913 and 1916. His brother William married Eliza Pilkington in August 1916 and his first child was born in the first quarter of 1918 - so it doesn't feel like he went away to the war either. Married men were not called up until 1917 and would if older have served in this country on guard or defence duties, in which case even medal cards might not exist for them. The oddest marriage in the family is James, b. 1882 who married a girl, Emily Keen (a relative of his sister Caroline's husband maybe?) from Gloucestershire in her own area in 1909, they appear on the 1911 census living in Royston, but he seems to die in 1913 at the age of just 31. I can't find a local marriage for Henry that seems to fit so I don't know what happened to him. Stanley marries much later in 1930 to Grace Pichard and they appear to have no children. The item in the Barnsley Chronicle says that Thomas Appleyard served in the West Yorkshire Regiment and the only Thomas I can find in that regiment is shown on the Medal Card above. He has two service numbers 32483 and then for the West Riding Regiment 49801. He was awarded the British and Victory medals and was discharged in February 1919 by the looks of the coding. We know he was a prisoner of war in 1918 and that at the time of the newspaper article he was being held in No 27 Gefangenenlager, Muster II, Westphalia. Gefangenenlager is the German word for a Prisoner of War camp. I cannot find any World War One Service or Pension records for any of the Cudworth Appleyard brothers - which is a shame as they are the records that give us the most information, however we do have to remember that over 60% of those records were destroyed in the blitz in 1940 so odds of finding them for a particular man are less than 50/50. There are Henry and Stanley, George, and William (no Richard) Appleyards all listed in the Medal Card indices but I have no way of knowing if they are the Cudworth men I'm looking for. Often family stories are the only evidence that a man served in the war - it is easier to find information on someone who died than someone who survived, sad to say. So just because I can't find any information on Thomas's brothers, it doesn't mean they didn't sign up, it just seems rather unlikely that the older ones did so judging by their family circumstances at least. Thomas marries after the war to Zilpha Breathwick in 1925 at Cudworth church and they have two girls, Margaret and Betty. He dies in 1962 and is buried in Cudworth churchyard, Zilpha's ashes were buried with him when she passed away in 1975. I nipped down to the row of houses I thought was Alpha Cottages after writing this blog and sure enough the plaque I hadn't been able to make out on Google Maps confirmed my theories. The picture above shows the plaque from across the road - still not very clear, and from outside the houses - it bridges two as you can tell from the change in the cladding of the walls - from the right and the left - I was determined to get a good picture. It says Alpha Cottages 1895. So the Appleyards moved there within six years of them being built - maybe even when they were new.